...for a more perfect day for an art show than today! Thank you to those of you who came by and said hello (and maybe bought a little something)! If you missed today, don't fret - I'll be back again tomorrow. If you'd like to come by, shoot me an e-mail and I'll give you the details. oooh I found it! Yay! 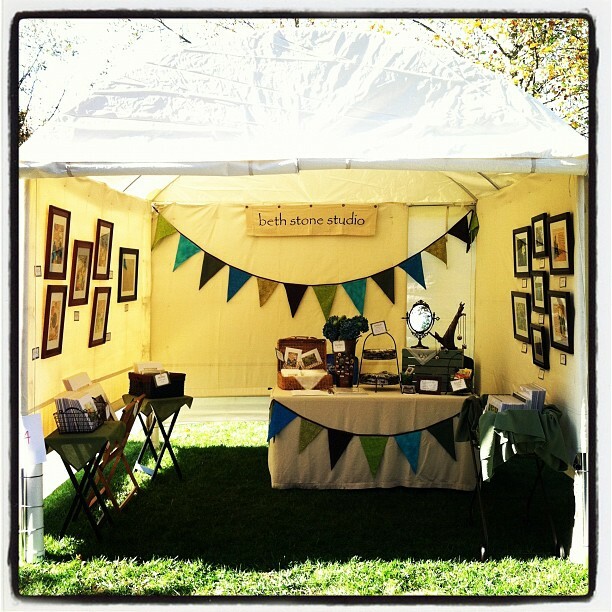 Love all your beautiful art and buttons and love love your tent studio at the art show! Great to meet you!